Tired of typing the same reply each time someone sends you an email with a common question? Compose your reply once and save it with canned responses. Then, set up a filter with information that includes keywords or subjects. 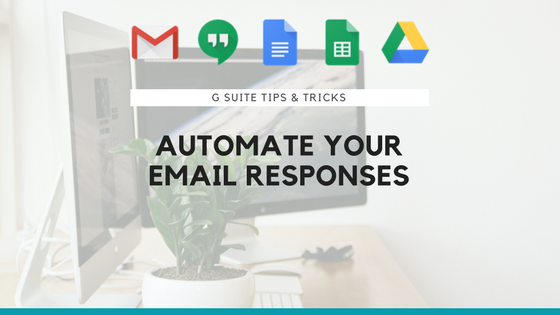 You can then use Gmail to automatically respond to messages that fit your criteria with your saved response. Automate answers to customer questions about store hours, locations, and other general information. If you receive a technical support email, Gmail can automatically forward it to the right person and send the customer a confirmation message. Enter your search criteria, then click Create filter with this search. 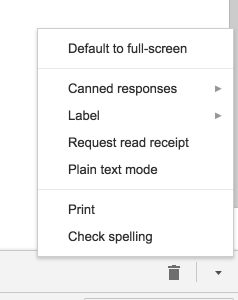 Check the Send canned response box and select one of your saved canned responses.